The post Cold War period in U.S.-Russian relations ended abruptly in March 2014 with the eruption of the Ukraine crisis. 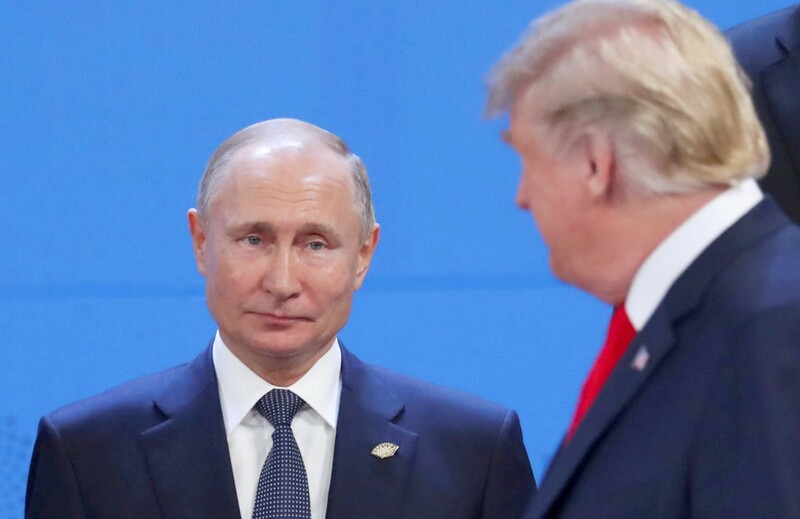 The United States finally abandoned the waning aspiration to slowly integrate Russia into the Euro-Atlantic community that had driven its Russia policy since the end of the Cold War. Russia demonstrated its willingness to flout the norms that had governed European security since the signing of the Helsinki Accords in 1975 to protect its vital national interests. Talk of partnership vanished; channels of communication were severed. Each country now clearly viewed the other as a strategic competitor. That point was made explicit in the U.S. National Security Strategy released in December 2017. Russian President Vladimir Putin had repeatedly made it with increasing vehemence since his remarks at the Munich Security Conference in February 2007. This does not mean, as many commentators argue, that a new cold war has broken out, even if relations are at their lowest ebb since the early 1980s, one of the darkest periods of the original Cold War. The international context and the nature of relations are radically different. The distribution of power in the world is no longer bipolar as it was during the Cold War. Rather, the contours of an inchoate multipolar system are emerging. The two countries are no longer engaged in a global existential struggle of two diametrically opposed philosophies of man and the state. Rather, both countries oversee variations of a capitalist economic system and profess adherence to democracy. U.S.-Russian relations no longer structure the international system or dominate the global agenda. Rather, they are among many other bilateral and multilateral relationships that shape the system and agenda, and not necessarily the most consequential. And Russia no longer lies at the center of American foreign policy, even if the United States remains a top priority for Russia. Rather, the United States is focused on other matters, including China and international terrorism. The new National Security Strategy does not change the picture, even if it identifies Russia as a revisionist power and strategic competitor, for the strategy also identifies China in the same terms and names Iran, North Korea, and international terrorism as major threats. As in the Cold War, however, relations will remain troubled for a considerable period, defined more by competition, at times verging on outright confrontation, than cooperation. In the near term, there can be no return to the hope for partnership of the immediate post Cold War years, no new reset, and no rapid improvement in relations even if the intensity of estrangement might abate. The differences over the principles of world order, the essence of regional conflicts, and the fundamental values that should inform political affairs are too profound for it to be otherwise. How long this period of strategic competition will last is an open question, as is the evolution of U.S.-Russian relations to mid-century. Much will depend on domestic developments and global trends. The future could bring indifference because one or the other country ceases to figure large in world affairs or, if both countries continue to matter, permanent confrontation, strategic competition, or strategic cooperation with far-reaching global implications. That U.S.-Russian relations are competitive should not come as a surprise. That has been their prevailing character since the United States emerged as a global power at the end of the nineteenth century. Then, the United States and the Russian Empire, along with Japan, were competing for influence in Manchuria. In 1904, in the early phases of the Russo-Japanese War, the US in Real politikk fashion tilted toward what it thought was the weaker power, Japan. It shifted position only after Japan humiliated Russia on both land and sea, mediating a peace to create a favorable balance of power in Northeast Asia. After the First World War, the United States refused to recognize the new Bolshevik regime because of its subversive, anti-capitalist foreign policy, relenting only in 1933, as the Nazi storm clouds were gathering over Europe and Japanese imperialism began to threaten U.S. interests in East Asia and the Pacific. After the Second World War, the United States and the Soviet Union engaged in a bitter cold war, which brought them to the cusp of thermonuclear conflict during the Cuban Missile Crisis of 1962. Even the rare times of cooperation were less compelling than might appear at first glance. The victorious alliance against Nazi Germany, for example, was laced with deep suspicion. Russia and the United States fought not so much in common as in parallel on the eastern and western fronts, respectively. The postwar settlement divided Europe into two opposing camps that quickly found themselves in the grips of a cold war. More recently, the cooperation in the first post Soviet decade was grounded less in common strategic interests than a weak Russia’s timid acquiescence in U.S. actions it found objectionable, such as the U.S. intervention in the Balkan wars and NATO expansion. Any pretense of cooperation began to wither away as Russia regained its strength under Putin in the 2000s, to be ultimately replaced by the present profound estrangement. The reasons for this troubled history are many. At the most elementary level, competition between great powers is an inherent condition of international relations. That is all the more true for dynamic expansionist powers with major interests in both East Asia and Europe, as America and Russia have been for at least the past 150 years. Nevertheless, the competitive nature of great-power relations alone does not suffice to explain the depth and endurance of the antagonism, which greatly exceeds that of America’s and for the most part Russia’s relations with other great powers, such as Great Britain, France, Germany, Japan, and China. Other factors different approaches to the fundamental questions of national security and prosperity, incompatible value systems embedded in competing forms of exceptionalism and universalism have had greater influence because they cut to the core of national purpose and identity. With regard to security and prosperity, Russia has long been preoccupied with the challenge of securing, against external foes and internal unrest, a vast, sparsely populated, multiethnic territory with few physical barriers abutting powerful or unstable neighbors. To that end, Russia has taken refuge in strategic depth, pushing borders outward as far as possible from the Russian heartland and limiting foreign influences inside Russian-controlled territory. The United States, by contrast, once it established its dominant position in North America in the middle of the nineteenth century, has been physically secure, with weak neighbors to the North and South and vast oceans to the East and West. As a trading nation, it has, with rare exception, looked abroad not to physically control territory but rather to open up markets for American goods and secure resources for robust economic growth and well-being at home. In time, Russian expansion in search of security ran up against American expansion in search of markets, first in East Asia and subsequently in Europe. The tension grew most acute during the Cold War, pitting Soviet autarky seeking to extend its sway against American economic dynamism seeking to expand the reach of free markets. American prosperity jeopardized Russian security, and vice versa. For that reason, since the end of the nineteenth century, each country has pursued a policy of containment vis-a-vis the other Russia to constrain American commercial advance, America to limit Russian territorial expansional though the United States formally acknowledged that only during the Cold War, and Russia has never done so, preferring to rail against alleged American imperialism or hegemonic designs since the Bolshevik.